"Weekend"just sounds like lazy, relax, movies, couch - and it's a time when we don't have to feel guilty about maybe not accomplishing as much as we do between Mondays and Fridays. But the older I get, the harder it is for me to do nothing. I find things to do, frames to stain, pictures to hang, toilets to clean, things to buy at Target, and food to make. So - woosh! - there went another weekend that seemed to just fly by. 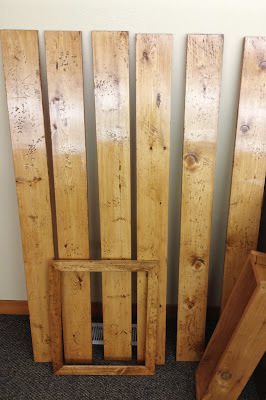 + Friday: These are all the projects I've been working on and I got them all ready on Friday for hubby to install on Saturday. I am loving our bedroom right now and will share once the few pieces are all pieced together for a pretty final project. 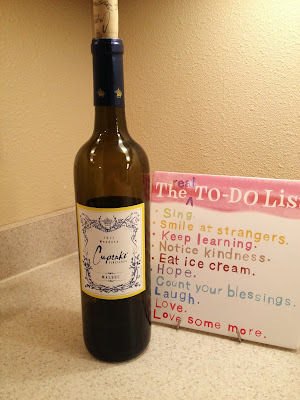 Cupcake - my favorite wine. And what do we do on a Friday night in September? Well, if there's a hockey game in town, that's where you'll find us! There were.... mmm.... maybe 100 people at the game. It was an exhibition game which means their real season hasn't even started yet. Yup. Man I must love this guy. But, he did buy me a hard cider at the game so... And I got compliments on my Minnesota Wild hat so it's all good. + Saturday: P got instagram! Yes, that is a highlight of my weekend because now I can tag him all the time. He thinks he quit facebook for instagram but we'll see how long that lasts. How lame do I sound posting about my husband's social media usage? Mostly it was a highlight because he admitted I was right that insta is way better. Okay, moving on to real news... Relaxing Saturday mornings spent blogging and creating wish lists on Etsy during my morning coffee are the best. The picture on the right is part of the installation of all my projects. 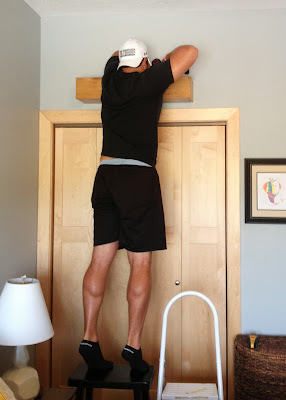 If P blogged, I'm sure this would totally be on his list of weekend highlights because who doesn't love standing on a stool and trying to awkwardly drill a shelf into the wall above a bedroom closet. Oh, especially when your wife is standing on the stool next to you giving you tips :) We're still married - or more importantly alive - so it's all good. 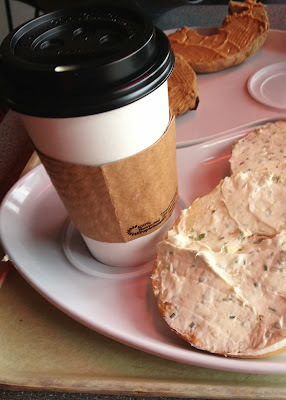 + Sunday: We went to a bagel place in town that we'd never tried before and had fabulous coffee before grocery shopping. 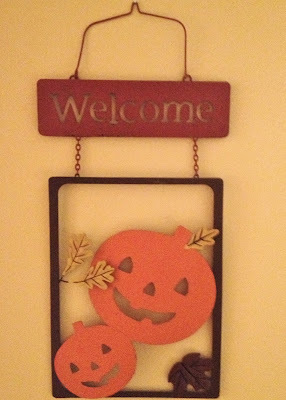 Then we spent a lot of time continuing to work on things around our place - no pictures yet because I don't want to ruin the surprise before the final product! 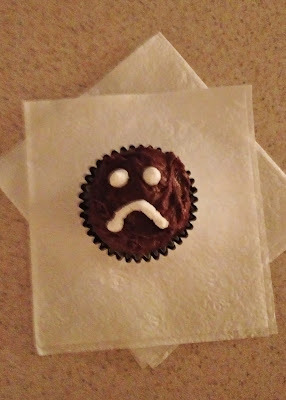 I baked cupcakes for my boss because he's a Raiders fan and I autumn-ified our apartment. 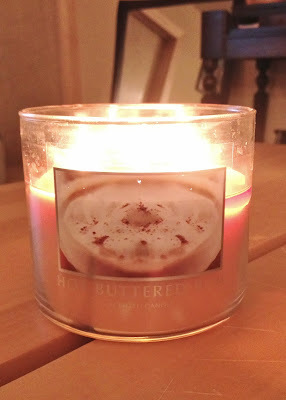 Goodbye strawberry lemonade candles and helloooooo hot buttered rum candle and hazelnut latte in my scentsy. P said it best - "yum, it smells like cake in here." + In other weekend highlights, I ordered my DSLR camera (! ), which happened to be on the same day that P ordered his new pair of hockey skates. Looks like my recipe posts this month with consist of peanut butter toast and ramen noodles. I really could have used that $45.00 from football picks that I didn't win. I'm realizing now that this is my weekend post and it's Tuesday already but better late than never! Sometimes life gets in the way. I'll be back this week with some posts that have a little more substance than weekend photos + captions. Or maybe not... but either way I'll be back.